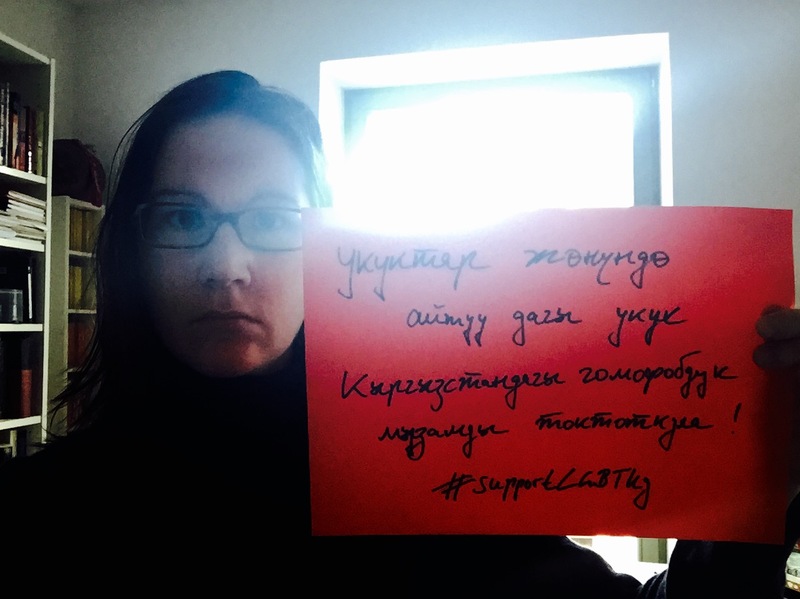 Kyrgyzstan is about to vote on a draft law which is modeled on the Russian ‘homosexuality propaganda’ law. This will make life for people in the LGBT community more than difficult, to say the least: it will criminalize their very existence. Please show your support,more information can be found at the Labrys Kyrgyzstan website. This entry was posted in Kyrgyzstan, law, politics, Russia, state on 24. February 2015 by Judith Beyer. What is 19cm high, 20cm wide, weighs only 680grams but carries a President? Right – it’s the Russian Bear! And what is flying high into the sky? Right – the Bear, too. There is nothing he can’t do – the Bear, I mean. 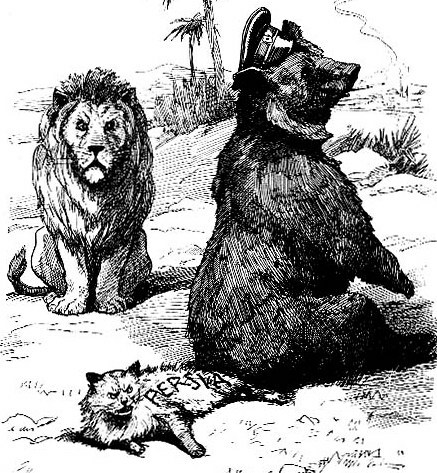 While everyone has been concentrating on Putin, it is the bear that should interest us; that magical, charismatic hero of Russian folk tales, easily fooled by political rhetoric. 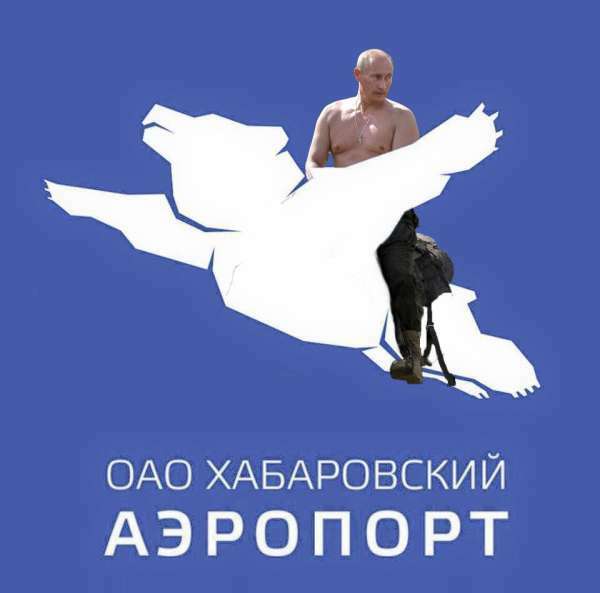 It is him who is carrying the President on his back across the country (literally, if you look at the statue carefully), and who is now taking him up into the sky in the recent pictogram of Khabarovsk Airport, in Southeast Russia, close to the China border. What is next? The moon? Oh no, been there, done that, too. He seems increasingly, desperate, though. The Bear, not Putin. Some memes pictured him crashed, lying in a state-sponsored, vodka-induced coma. I think the Russian Bear should take this exhortation seriously, throw that naked President off his back, form an alliance with the Polar Bear and chase both Putin and Palin all around Little Diomede Island. 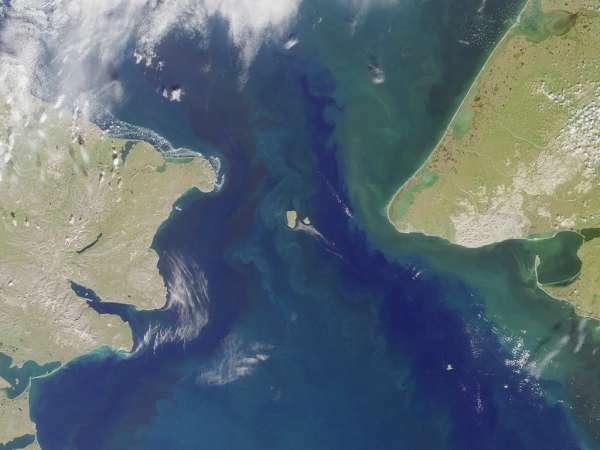 The Diomede Islands, Big and Little, in the Bering Strait. Note: originally published on 03 February, 2015 here: http://allegralaboratory.net/russian-and-polar-bears-unite-a-follow-up. 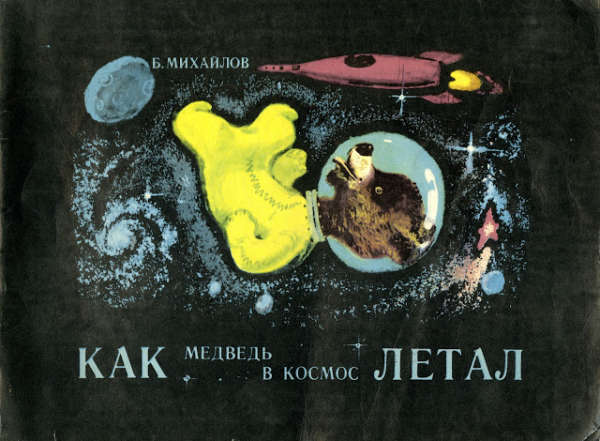 The Bear in Space-pictures are taken from Mikhailov, B. 1973. 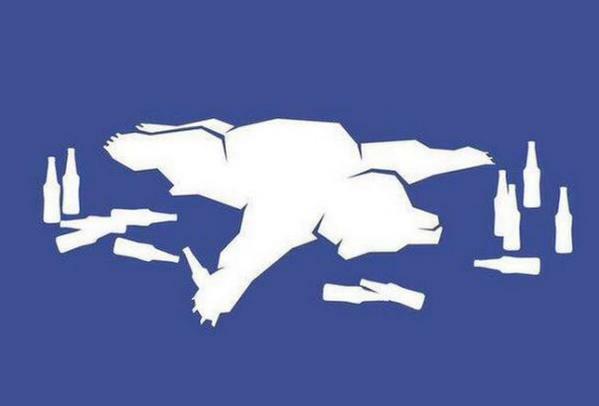 “How the Bear flew into Space”. Leningrad: Khudozhnik RSFSR. (Б. Михайлов “Как медведь в космос летал” Изд. “Художник РСФСР”. Ленинград 1973). This entry was posted in Allgemein, Russia, state on 7. February 2015 by Judith Beyer.